This little girl is THE man! Clara Lazen, who is only 10 years old, has created a new molecule in science class, albeit accidentally. She lives in Kansas City, Missouri and created the new molecule by chance when her science teacher, Kenneth Boehr, handed out your run-of-the-mill balls and sticks. Boehr gave his students balls representing the atoms of carbon, nitrogen, and oxygen, presumably to “play” with them. The result of Clara’s “playing” was totally unexpected: the new molecule dubbed Tetranitratoxycarbon. Now I only have the vaguest memories of being a 10-year-old, but I honestly doubt that I could have come up with such a complex combination of atoms. As Boehr says, Clara arranged the atoms in a very complex way and when done, simply asked him if it were a real molecule that she had made. Props to the science teacher for not dismissing her question, for he said he was not sure. 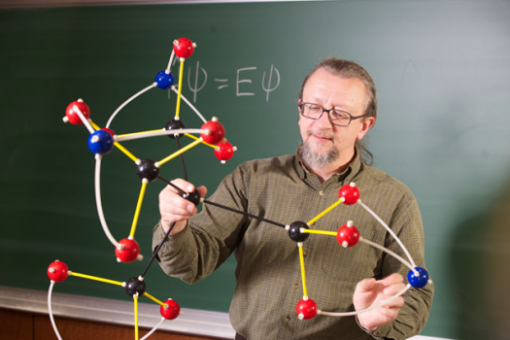 He went even further than admitting his uncertainty, and he actually sent a photograph of the molecule model to a friend who is a chemist at Humboldt State University. Much to everyone’s surprise, the chemist affirmed that it was indeed a new molecule and a viable one at that! While we do not know what this new molecule can do or what it can be used for, this kind of discovery makes you appreciate the importance of science learning for kids even more. Tony Stark, this little girl might just give you a run for your money! Yah but can you get high off it?